Exact location of the Shushan Gate is unknown, however it was either located directly beneath the Gate of Mercy or somewhere near it to the south in the eastern wall. According to Mishna, "There were five gates leading to the Temple Mount... The eastern gate has an image of Shushan the Capital, it was where the priest who burned the Red Heifer, the Heifer, and all of those who participated in the process would exit to go to the Mount of Olives." [Midot 1:3]. 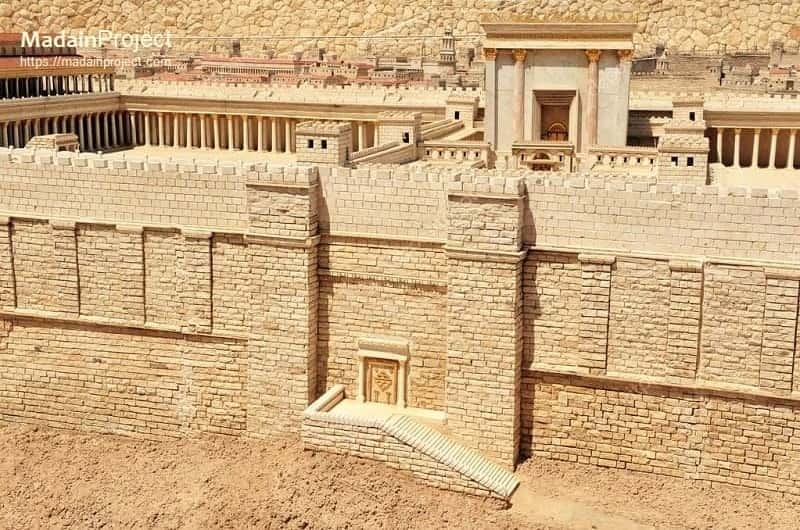 Model of the Eastern gate or the possible Shushan Gate in the Holyland Model of Jerusalem. Evidently the name of this gate was the "Eastern Gate," and that it had on it a shape signifying Shushan.